Deus ex machina; what will the coming era of automation and robotics mean for the workplace? 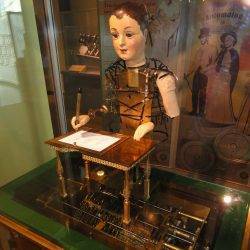 The only two things we know for certain about the era of robotics and automation in the workplace are that it will be with us far sooner than many of us expect, and its implications will be far reaching and unlike those most routinely anticipated. However, a clear picture is beginning to emerge about its implications for workplace designers and managers as well as property owners and workers themselves. 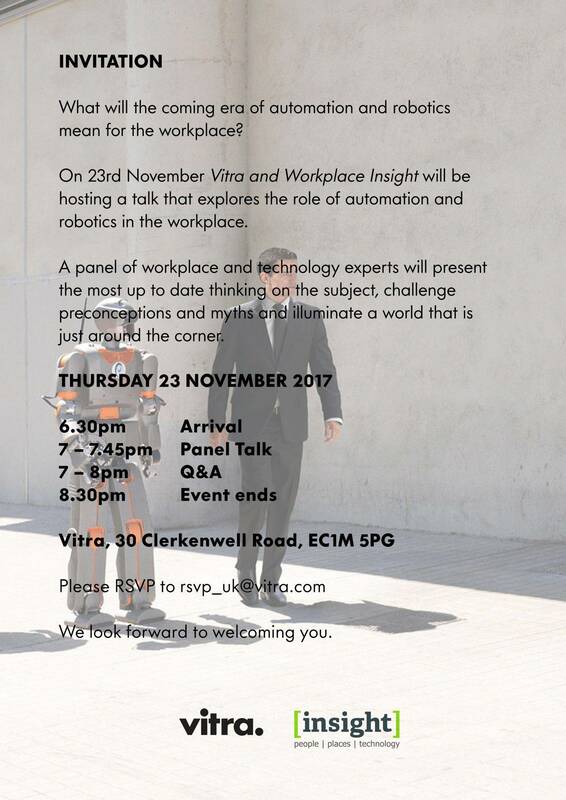 On 23 November at an event hosted by Vitra in London, a panel of workplace and technology experts including Neil Usher, Kerstin Sailer and Mark Eltringham will present the most up to date thinking on the subject, challenge preconceptions and myths and illuminate a world that is just around the corner. If you’re interested in attending please email rsvp_uk@vitra.com. Full details below.